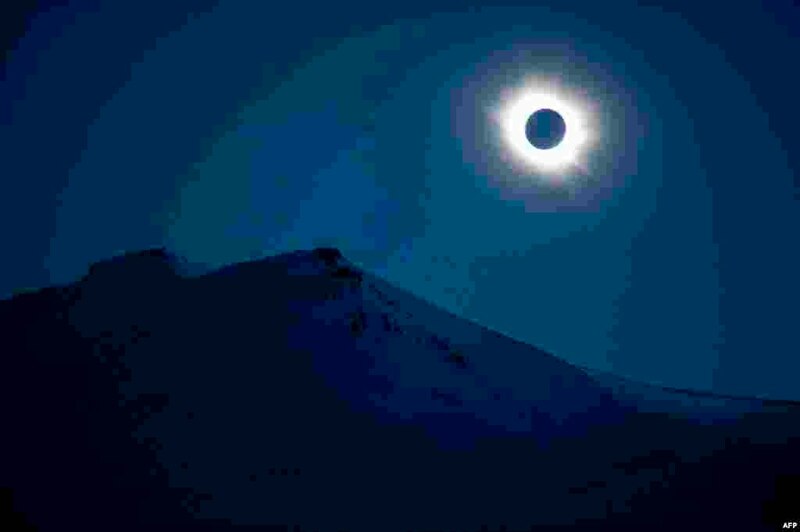 1 A total solar eclipse can be seen in Svalbard, Longyearbyen, Norway. A partial eclipse of varying degrees was visible, depending on weather conditions, across most of Europe, North Africa, northwest Asia and the Middle East, before finishing its show close at the North Pole. 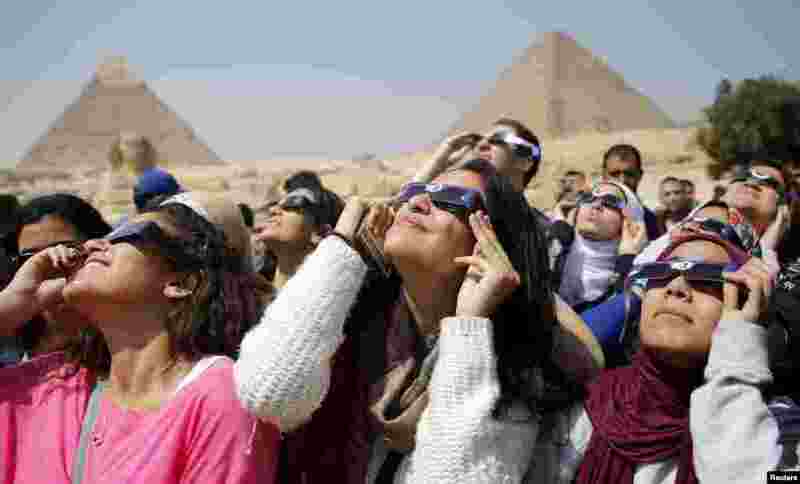 2 People look up to view a partial solar eclipse around the Giza Pyramids, on the outskirts of Cairo, Egypt. The total eclipse of the sun was only visable in the Faroe Islands and the Norwegian archipelago of Svalbard in the Arctic Ocean. 3 Tunisians wave banners and their national flag during a demonstration in Midoun, northeast of Djerba, two days after gunmen attacked the National Bardo Museum. The attack which killed 21 people, was the country's worst since the 2011 uprising that toppled leader Zine El Abidine Ben Ali. 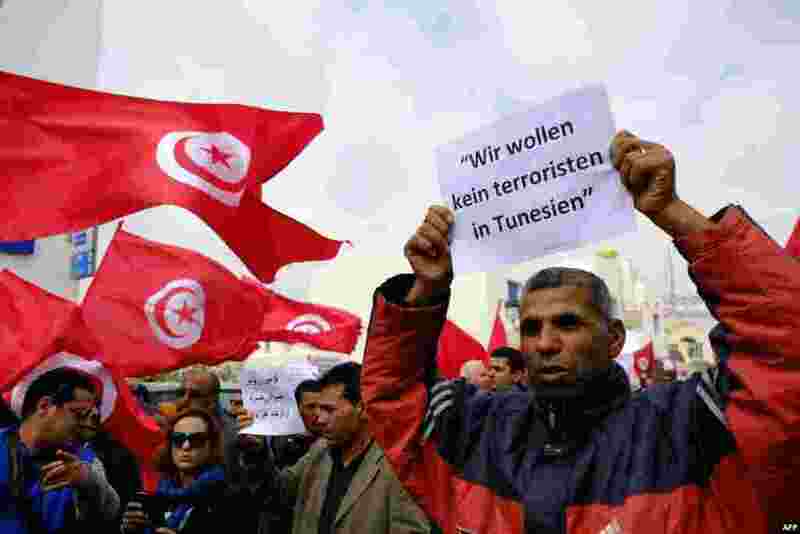 German writting on placard reads: "We don't want any terrorists in Tunisia." 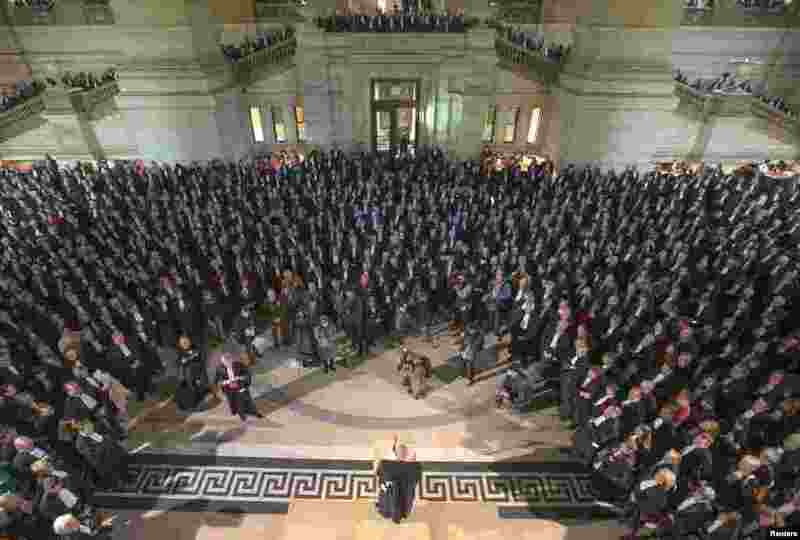 4 Belgian lawyers, judges and employees at the Justice ministry protest inside the Brussels Justice Palace. Demonstrators protested against the lack of resources and personnel in the country's justice institutions.